Item # 312957 Stash Points: 6,995 (?) This is the number of points you get in The Zumiez Stash for purchasing this item. Stash points are redeemable for exclusive rewards only available to Zumiez Stash members. To redeem your points check out the rewards catalog on thestash.zumiez.com. 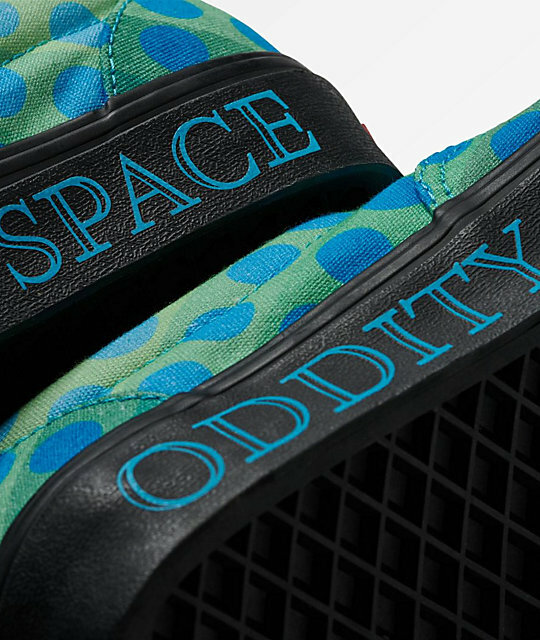 Ground control to Major Tom, the Vans x David Bowie Era Space Oddity Black & Silver Skate Shoes are out of this world. 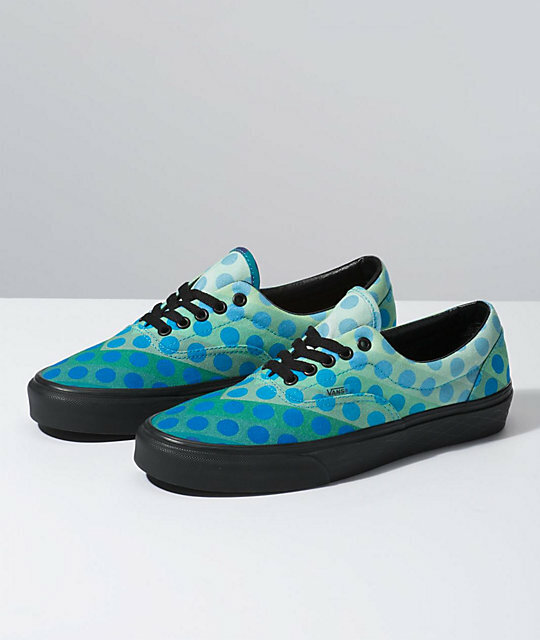 These psychedelic shoes feature a multicolor dot pattern throughout their canvas exterior for a wildly colorful look. Including Vans' vulcanized insole for maintained skate-performance, these shoes also include double stitching throughout for durability both on and off the board. 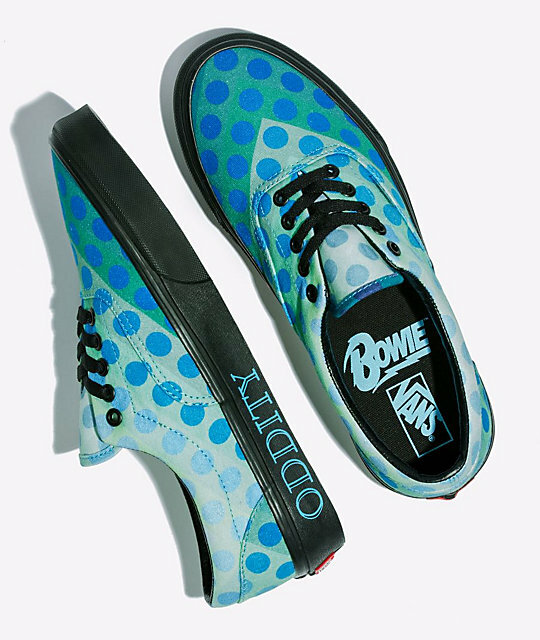 Finished with a custom metal "Space Oddity" logo emblem attached to the laces, these shoes pay a fitting tribute to David Bowie's hit song. 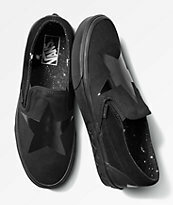 Era Space Oddity Black & Silver Skate Shoes from Vans x David Bowie. 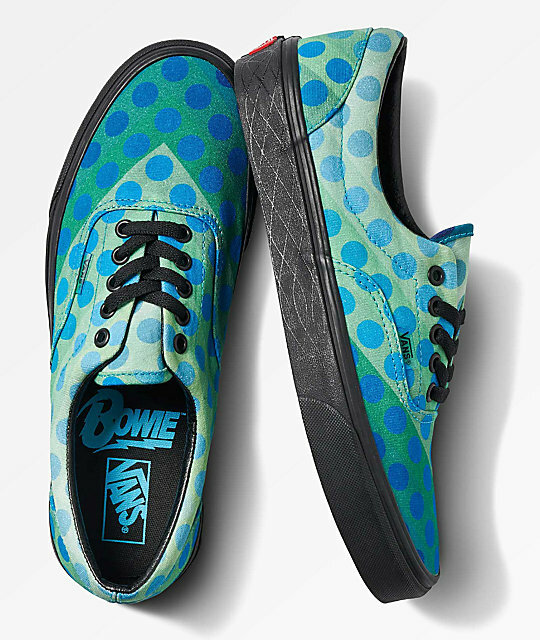 Part of Vans' signature David Bowie collaboration. 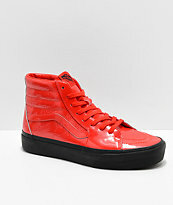 Canvas upper with reinforced double stitching throughout for durability. Cushioned foot bed for comfort. Multicolor dot pattern graphics throughout exterior.